Since the Growler crews were training as if they were on the deck at sea, they don’t flare their landings at all. 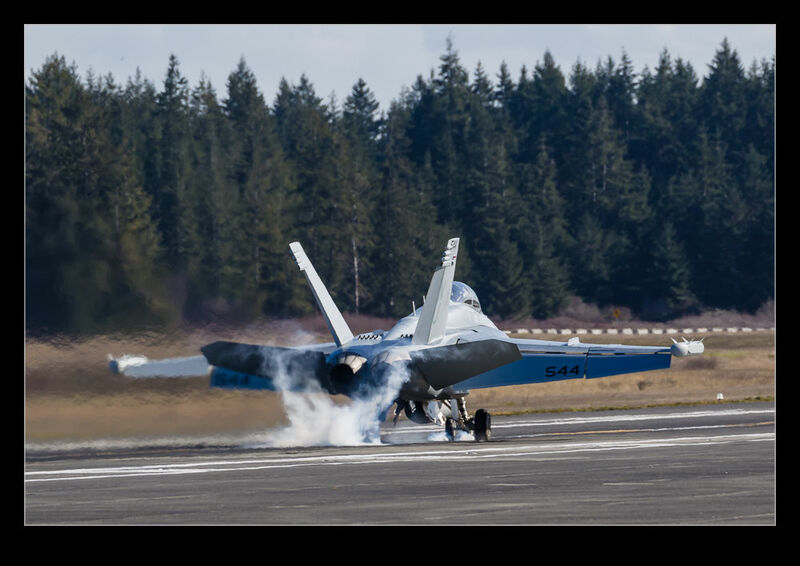 They hit the runway hard and the tire smoke that results is substantial. 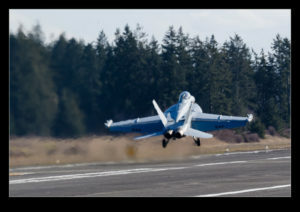 Normal landing procedure on a carrier is to go to full throttle as soon as they hit the deck. There isn’t time to react if you miss the wire so hit the gas and, if the wire doesn’t stop you, you fly right off the other end of the deck and climb away. 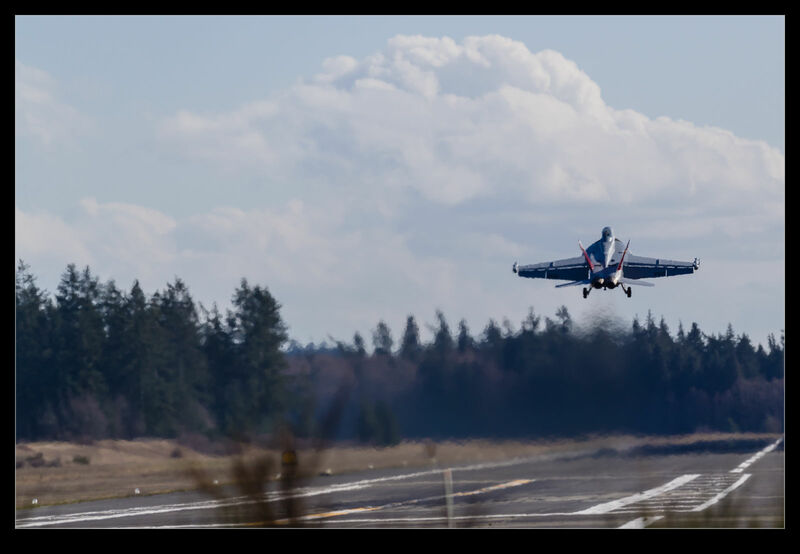 Since there is no wire at Coupeville, that means every touchdown is followed by a rapid rotation and climb away. The climb is pretty steep initially which keeps the speed under control until the power is backed off. 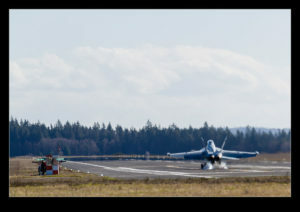 This entry was posted in aircraft, military, Pacific Northwest, photo and tagged aircraft, airplane, Boeing, E/A-18G, fclp, field carrier landing practice, fighter, growler, jet, military, Navy, nolf Coupeville, photo, USN, washington, Whidbey island. Bookmark the permalink.